MAXXON Cat Tubes offer affordability as well as security for the avid fly fisherman as well as all river enthusiasts. They range in length from 9’ to 16’ and come in a variety of colors. 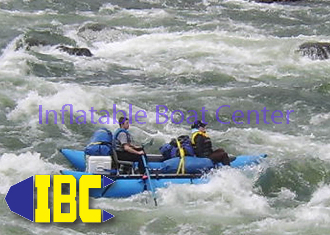 Multiple chambers and 2200 denier PVC give you the security you need when maneuvering on treacherous rivers. All pontoons come with a 5-year warranty on the fabric, 1 year warranty on the seams and, an easy to use foot pump and repair kit. Chafing pads on the top and bottom of the pontoons give added protection of 3,300 Denier PVC. Compare our prices with Aire, Hyside, or Star, and you will appreciate this economical alternative. Frames sold separately. Frames are custom made to order at great prices! Give us a call to find out more. Specifications: •Overall Length: 16ft. •Tube Diameter: 25"